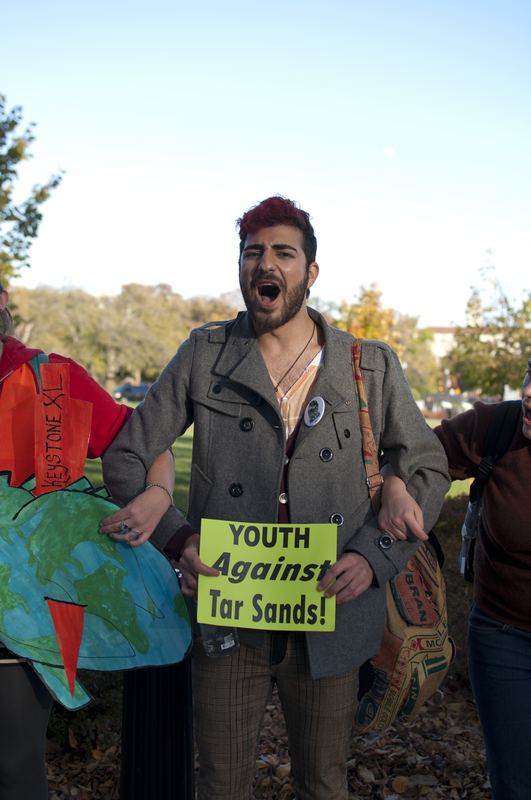 I just updated my Flickr page with photos from today’s Tar Sands rally. I really do enjoy rallies that involve a huge amount of singing, chanting slogans and friendly people. I also like that students and people my age are out, trying to change the world. I felt very overwhelmed when I heard this, because thoughts about Malaysia came flooding into my head. The rally that happened in Malaysia early July came into my mind. The power of the people. We had thousands of people on the streets crying for change, and that is the power of the people. But is the government listening to our cries or to their own greed?